Originally from Lima, Peru in South America, Andrea moved to Kansas in 2009 to attend The University of Kansas (KU) as a Fulbright student. In Lima, she was a member and leader of the Fraternidad de Agrupaciones Santo Tomas de Aquino (FASTA) Dominican order movement for 11 years. While at KU, she served as an usher and the Social Committee Leader at the St. Lawrence Catholic Campus Church in Lawrence, KS. This is how she met her now husband Jeremy, who married her in 2015, in the same church where they met, and by the priest who introduced them. She completed her Bachelor of Science degree in Environmental Studies in 2013 and her Master’s degree in Environmental Assessment in 2015. Andrea worked at the Sprint headquarters in Overland Park, KS, for 4 years in the Environmental, Health and Safety group. She currently is an Environmental Scientist for the consulting company APTIM. Andrea and her husband have been active members of Prince of Peace Parish in Olathe, KS for the last several years. 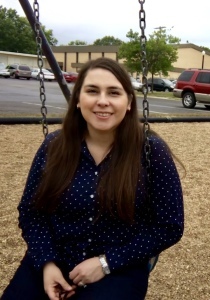 Andrea joined St. Paul Parish as the Confirmation Coordinator and Young Adult Ministry Coordinator in 2018. Andrea is excited to help organize our growing Confirmation program and also to work with our young adults, those who have already graduated from high school, to help them further discover their place in the Church and to discern God’s call in their lives.